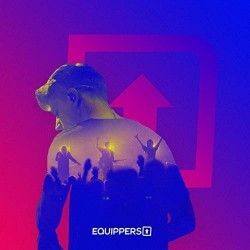 Equippers Worship is the sound of Equippers Church, based in Auckland, New Zealand. 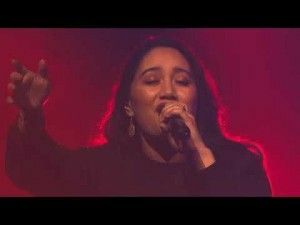 With long standing worship leaders Wayne & Libby Huirua and Isaac Graham, alongside their youth worship team Equippers Revolution – The revitalised Equippers Worship team is excited for what lies ahead with their renewed sound. We have brought you a couple of EP reviews of Equippers Revolution, "CLRS" and "Hands High" and now the guys from the youth movement are joining with the rest of their New Zealand based church in this self-titled album from "Equippers Worship". Part 1 of this album was released as an EP back in November and this is the full album containing parts 1 and 2 as they seem to be taking a Planetshakers route to bringing these songs out, with the EP of part 2 also being available now. I have to admit that my blood runs slightly cold when I read a title like "This Is How We Party", but that's my church upbringing. To me it just sounds a bit flippant, but actually I quite like this song, it is a party-style dance anthem although you'd have to search hard to really find much in the way of depth to this track! "Hands High" is the next track on the album, this is an Equippers Revolution track and sticks with the dance feel of the first track. 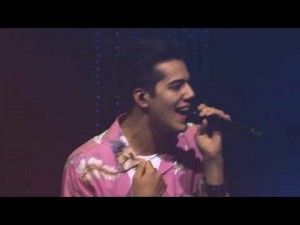 "Better With You" is another live version of the track from the album "Hands High" and again it's fairly upbeat dance number. Another track that can be found on the "Hands High" album is "You Won't Let Go". It's a sudden change from the high-octane dance numbers that have opened this album, but this song starts with some very simple vocals and backing before building the music up. Having listened to this version and the original release back to back I have to say the live version is missing something in the build up and the vocals aren't as clear or strong. Somehow the live version also adds an extra 2 minutes to the original running time for the track too. Suddenly it feels like we have gone back in time with "I Will Extol", it's possibly because we have, this song is well embedded in Equippers Church history. This song was released back around 2007, although to be honest I would say it sounds older than that, reminding me of some of the old Maranatha Music releases! I know 'extol' is a Bible word, but I had to remind myself of what it means, it means praise enthusiastically, but it's not a word that you come across much these days apart from reading the Psalms! The next track also comes from the same period as "He Is Holy" featured on Equippers Church "We Won't Be Silent" album. This track stretches to a massive 10 and a half minutes which includes some spontaneous worship and also quite a tender version of the hymn "Great Is Thy Faithfulness". "More To Come" brings things a little more up to date with one of the tracks that has come out of the Equippers Creative Labs from their 2015 album of the same name. Then we are back to the Equippers band of the moment, Equippers Revolution. Again this track was originally featured on "Hands High" album and I remember that this was one of my favourite songs on that album with the bridge really hitting home. "Heaven is Here" from the "CLRS" EP is next up and this live version is possibly an improvement on the original. So far this journey of Equippers tracks old and new has kept things separate as different flavours of the worship have sung their own tracks. This changes with "What An Awesome God" which see's Revolution bringing life to this older (2007) song. Next up is "Promises" which is unmistakably from the recent "CLRS" EP which is a great dance worship track and feels completely different from the last few tracks! This live worship album rounds out with another track from the same EP, "Senses". Listening to this album has been a great education to the sounds that have been coming out of this New Zealand Church for many years. There is a great combination of the old and new on this album which actually works quite well. It's like a look at the heritage and as though the church is saying 'This is our heart for worship, the style may have changed over the years, but the heart has remained the same'. If there is criticism of this album, then it is that this is a little bit heavy on the more modern tracks, I would have love to have heard a little more of the older stuff, at least to give more of a feeling of balance on this album. When I looked through the track list and saw a track running at over ten minutes I groaned a little, but actually I really enjoyed the song and the spontaneous version of the old hymn too. The last couple of the live versions on this album it sounds like the band were having a lot of fun with the crowd that comes across really well, when in other places it barely seemed like there was anyone there for the live performance. If you are looking for an introduction to the worship of the Equippers Church in New Zealand then this album will definitely serve as that. It shows you the past but gives plenty of idea of what the present and the future of the worship sound will be from this movement.